Today I'm going to share with you my latest creation. 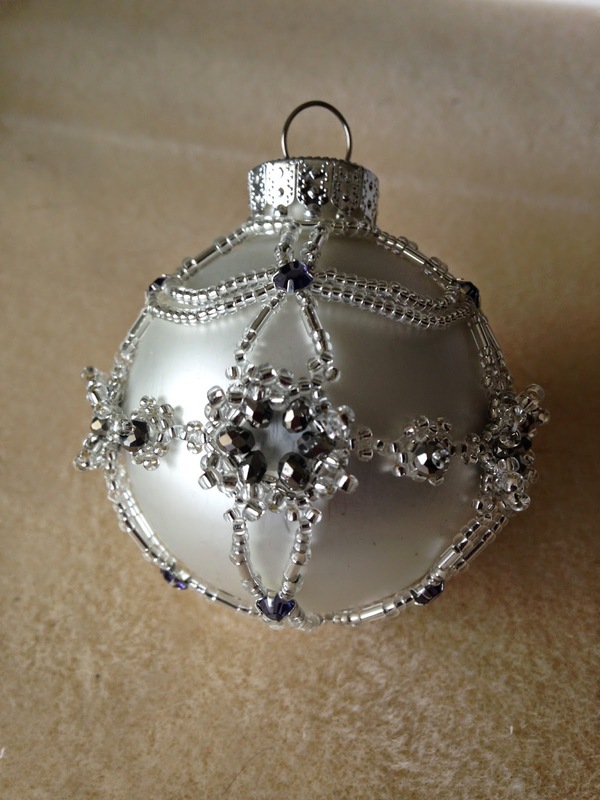 I designed this beaded Christmas bulb. I am planning on making them for Christmas gifts for my family. I have two left to make. I needed a dozen of them!!! When I was in Portland in October, I made a lot of the belly bands and then when I got home I did the top and the bottom parts. That is the quick part. The bulb is easy to make, it just takes a lot of time to do. I even beaded some of the belly band components on the airplane! I also have the pattern all set up for sale in my web store. My hopes are to get enough patterns to have a book made! I've been busy beading and creating the step by step pattern. Sometimes I feel like I'm stretching my time to thinly lately!! And the holidays are upon us too!!! UGH!!!! I gave my younger sister her bulb today. I really don't want to wait until Christmas eve to give the bulbs. I want them to have them early so they can hang them on their trees. I always enjoy it when you share your beading projects. This one really puts me in the mood to do some beading. You are so talented! The ball is beautiful! Lucky people who receive them! What a great idea for special gifts. Thanks for sharing! You are very creative.